This is my first E-Commerce website on the WordPress platform. It also uses the FAC payment gateway and TTD currency. This platform is better suited for small to medium businesses who want a more affordable online store that’s easier to manage and maintain. This Magento store comprises a multi-store set-up under a single installation with their own URLs. Using the FAC payment gateway and denominated in USD. The Dazza store targets an international audience and so required a very professional look and feel to match. This is also a Magento store and my first FAC payment gateway integration via Republic Bank and their version included an additional fraud protection module called Kount which ihas since been made optional. This store features many configurable products with multiple color options. This company hit their business for six from the get-go and OWNS the Caribbean in supplying auto parts from the Bamboo. TnT Bamboo Online uses 2Checkout as their payment gateway and will soon be launching a second store using the same Magento installation. Easily integrate our local TT Dollar payment gateway with your Magento store for a one-time set-up fee. No more currency switching. Enable offline payment options like bank deposit, payment by cheque, LINX, COD or pay upon pick-up at store by re-configuring default options. Entice your Trini customer to shop more by creating online coupon codes with preset limits on number of uses, expiration dates. Deliver to Trinidad and ship (or fast ferry!) to Tobago, using flat rates, or table rates per order value ranges that are automatically determined. Magento is very robust, but if you desire more then there are many premium extensions that seamlessly ‘plug-in’ to your store. Simple products are what you see is what you get. But you can also set-up items with multiple options like size, color etc. for easy selection. Globally, Magento is the leading e-commerce platform for online stores with over 25% of the market which is almost double it’s closest competitor. 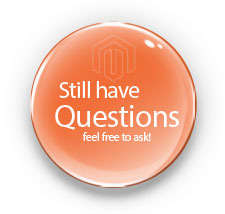 Magento is a platform you can never grow out of but can grow in to. For the long term development of E-Commerce in Trinidad & Tobago it is best to use a robust system built for the purpose and for which you don’t have to workaround. As a bona fide online shopping platform you get the full array of selling features you expect from an online store by default. All elements to cross-sell, upsell and promote your products are easily configurable. Any enhancement required for your customer experience in terms of functionality or even to strengthen your brand via custom design changes to your template for more uniqueness is fully achievable via the many certified Magento developers Forward Multimedia has partnered with. If you have any more questions about T&T E-Commerce, send me a message. No more obstacles & workarounds, we have all necessary elements for bona fide online shopping in T&T. The only thing missing is YOU!